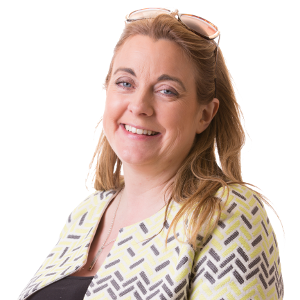 Having worked in the pharmacy sector in Ireland after qualifying as a certified Pharmacist and having travelled around the world, I always wanted to own and run my own pharmacy. My ambition was to blend the friendliness and sense of community that is synonymous with Irish pharmacies with the best of the rest of the world’s innovation in pharmacy practice. Having grown up in North Dublin, I didn’t go far to open my first pharmacy in Skerries in 2000. Less than a year later, I had the opportunity to open my second pharmacy, this time as part of a community development in Darndale. We have now grown to 17 pharmacies in the Stacks Pharmacy Group, each of which are unique in their own way yet they all share common values. A dedication to medication management has become a particular interest for me and my team, and we now lead the field in Ireland with regard to practical ways to get the most from patients’ medication. Today as much as in 2000, we stay close to our roots through being involved in the communities in which we work, such as sponsorship, work experience, helping the long-term unemployed get back to work and our charity partner “Hugh’s House”. We are very much a family business, along with all the dedicated staff who work in their community-based pharmacies day by day. We look forward to welcoming you today for advice you’ll value and trust. We take your health personally, so we want to make sure that every member of your family is happy and healthy, with the best value from vitamins to prescriptions. At Stacks Pharmacy, we care about making everyday life easier for the customer, in every way we can. Our Customer Care philosophy is based on our advice, support and guidance. Patient focus is at the heart of everything we do. At Stacks Pharmacy we are proud to care about our customers. By taking a personal interest, we ensure that all our customers have a positive experience. At Stacks Pharmacy we are restless and always looking for new ways to provide good advice, care and information to all our customers to help make their lives easier. At Stacks Pharmacy we pride ourselves on being an integral part of the local community. We are committed to providing care and advice that serves our community while also contributing to and enhancing local life. At Stacks Pharmacy we know that our customers have a wide range of needs and we seek to meet and exceed these needs all the time, providing convenient and inspiring solutions in both products and services. At Stacks Pharmacy we are imaginative about how we present our services and ourselves. We aim to create an outlet that is engaging, a hub of the community to which it belongs and which offers something more. At Stacks Pharmacy we are friendly and upbeat. Our staff are interested in our customers and wish to provide solutions and advice to make their lives easier. Our motto is “caring for you”. We aim to create a warm, cheerful environment through friendly service and staff who go above and beyond to ensure that customers get what they need. 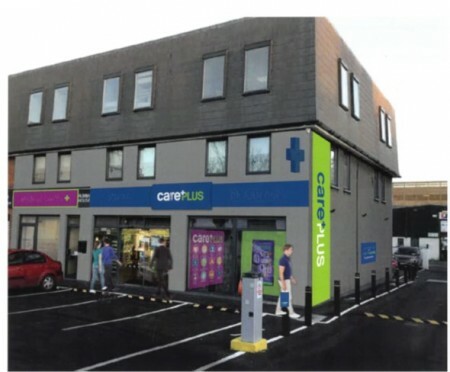 We are delighted to annouce we will be opening our new Flagship Cork Pharmacy in April 2019 in Passage West. We are looking forward to meet our new customers and supporting the local community within the area. 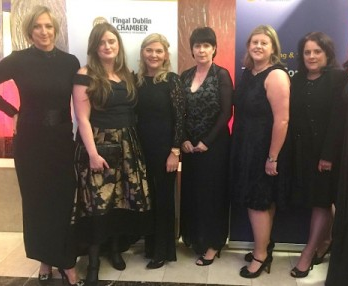 The Stacks Pharmacy Human Resources team where nationally recognised on the 6th December 2018 at the Legal Island HR Awards hosted in the Aviva Stadium. 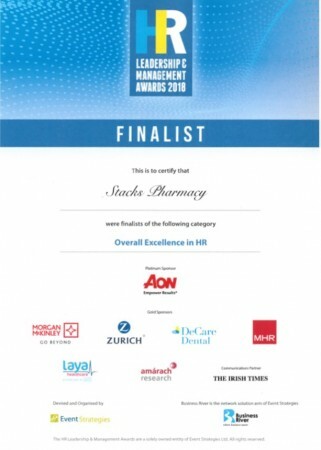 Mark Keegan the HR Manager noted "We are delighted to be highly commended as a HR Team as it recognises the hard work and dedication of the HR professionals in Stacks Pharmacy who work tirelessly in supporting our retail teams across Ireland." 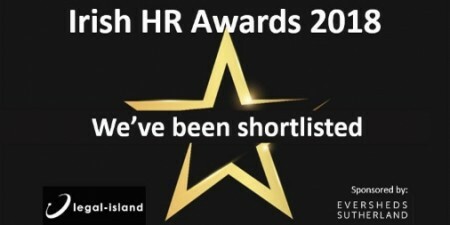 We are delighted to annouce that the HR team within Stacks Pharmacy have been shortlisted for the Best HR Team 2018 in Ireland at the Legal Island Irish HR Awards. We would like to thank everyone that nominated us! This award allows the HR team to feel valued for the hard work and dedication they bring to their roles everyday! 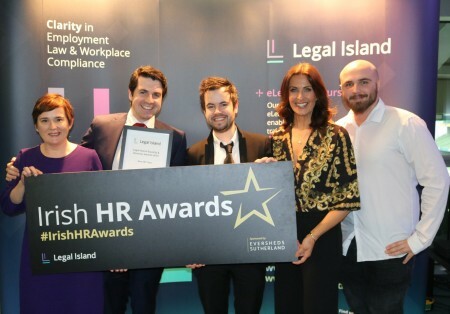 Mark Keegan the HR Manager commented "We are delighted to recoginse the hard work that each HR professional brings to thier role and the passion they have for our employees". 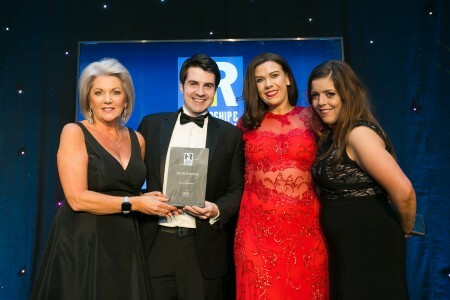 The winners will be announced at the Irish HR Awards on 6th December at the Aviva Stadium. We will keep you posted! 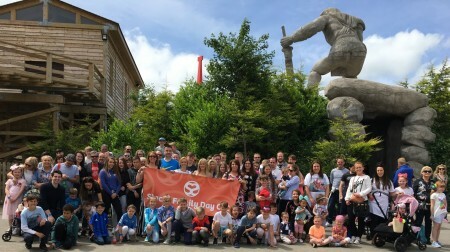 On the 10th June 2018, we headed back to Tayto Park with over 300 of our employees and their familes. It gave everyone a chance to get to know one another. Here at Stacks Pharmacy we value family and quality time spent together. 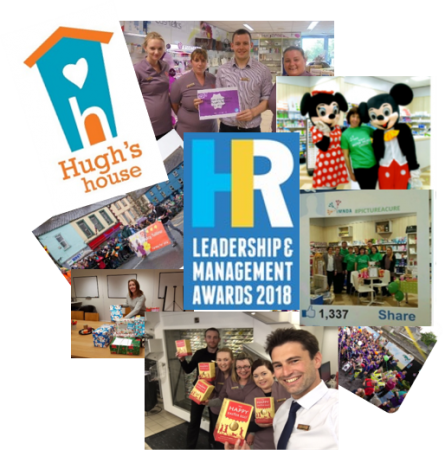 We are delighted to annouce that we have been shortlisted for the Overall Excellence in HR at the Leadership & Management Awards 2018. The flagship "Award for Excellence" recognises exceptional achievement in HR. The award is presented to the team or organisation that has undertaken the most successful project or initiative.The recipient of this award will be selected from the winners of the other categories on the night. 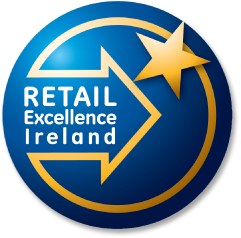 I am delighted to be able to confirm that our Swords Careplus Pharmacy have been shortlisted as a finalist for the Clonmel Business Development chain of the Year award with the Irish Pharmacy Awards 2018. These awards are highly competitive and to be shortlisted among our peers as the best pharmacy talent that Ireland has to offer is a huge honour. The winners will be announced on May 12th at the Irish Pharmacy of the Year Awards 2018 at the Clayton Hotel, Burlington Road in Dublin. The event will be attended by more than 650 guests and as a finalist our Swords Careplus team will be present to represent the great initiatives we organised to grow our business! 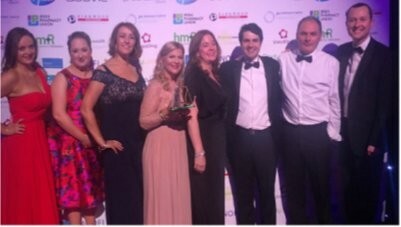 We are delighted to announce that we won the Best Use of CSR in HR on Thursday 8th of March and where finalists for the overall winner of HR Excellence on the night at the HR & Leadership Awards 2018.Patricia Hyland, Director of Corporate Sales and Wellness presented the Best Use of CSR in HR award to Mark Keegan, HR Manager, Emma Leggett Senior Managing Pharmacist & Alice Richardson, Pharmacy Assistant. We would like to thank all members of our team, that work tirelessly and go the extra mile for our customers and the local community that we work in. This award is for you guys! 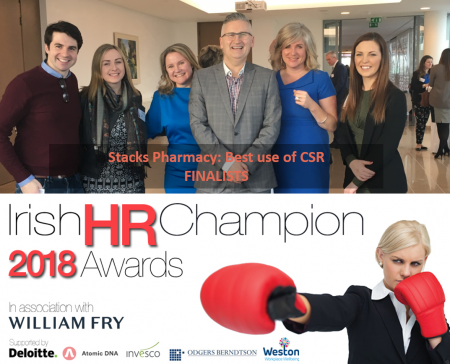 On the 13th of February 2018, Stacks Pharmacy have been shortlisted for the Champion CSR Strategy 2018 Award with the Irish HR Champion Awards. The event in association with William Fry, will be held on the 23rd March in the Guinness Storehouse. We look forward to attending the event and wish the best of luck to other colleagues within the same category. I am delighted to announce that we have been shortlisted for a Corporate Social Responsibility Award as part of the HR & Leadership Awards 2018. I would like to thank all employees who supported our key fundraising activities throughout the year. We are delighted to annouce the opening of our new Swords Pharmacy which opens on the 15th January 2018. We have partnered with Careplus to marry our fantastic customer service and experienced employees with the latest technological innovations within Pharmacy. Come visit us! 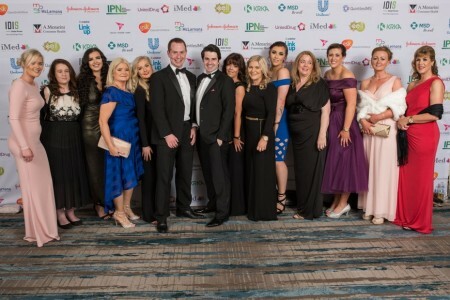 On the 20th of May our Bettystown Pharmacy team where nominated for the Johnson & Johnson Pharmacy Team of the year in the Irish Pharmacy Awards. While we didn't win, we had a fantastic night with the Bettystown Pharmacy team and raised over €15,000 for our sister charity Hugh's House. We are very proud of all of our teams. What a fantastic day we all had at our first Stacks Pharmacy Family day out! Over a 100 employees and their families joined us at Tayto Park to come together as one big team and to get to know each other that little bit better! In December 2016, we were honoured to be nominated in the Clanwillam Pharmacist Awards 2016 and won the “Pharmacist Contribution to the Community Award.” Giving back to the community has always been a big priority of Stacks Pharmacy and we are extremely proud of our entire team. Our Windmill and Skerries teams reached the final of the Fingal Dublin Business Excellence & CSR Awards 2016. Out of 300 companies, we were ranked in the top seven for Customer Service Excellence. Despite not winning, we are extremely proud of our teams and the consistent customer service standards we provide in all of our pharmacies. 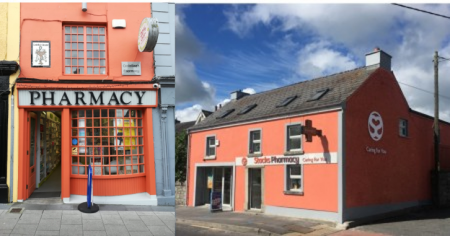 In August 2016, we were delighted that our Callan, Tullow & Gorey Pharmacies were nominated for awards in the JCI South East Friendly Business Awards. Our Clongriffin Pharmacy, opened in January 2016, is based in the centre a newly developed community with a lot of young families. As with all our Pharmacies, Clongriffin is very family orientated and we organise regular events there to support those living around us. 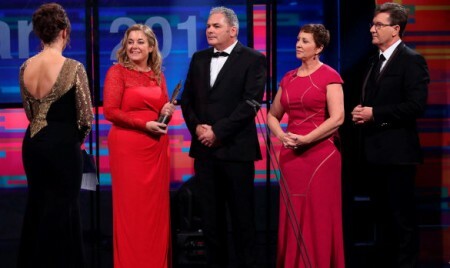 The People of the Year Awards, which celebrate the heroism of individuals and groups all across Ireland, recognised Ade Stack and her partner Martin Curley in the 2015 Awards ceremony for establishing our sister charity “Hugh's House”. A seven-bedroom house, it is a special facility which offers free accommodation to parents and families with children attending Temple Street Children’s Hospital, Holles Street Hospital and the Rotunda Hospital. 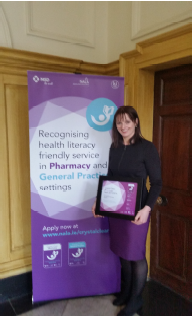 In April 2015, Hazel Slevin, our Supervising Pharmacist in our Limerick Pharmacy, received the first Crystal Clear Pharmacy Award in Ireland. The award recognises pharmacies and general practices that deliver a health literacy-friendly service to their customers. Hazel and the team continue to uphold the high standards of friendly customer service at our Pharmacies. The People’s Pharmacy Limerick based in Moyross opened in 2010. Community based and serving the surrounding local people, our Pharmacy staff provide information on all medication and advise customers on the best way to treat their ailment. Our Limerick Pharmacy provides sponsorship for local fundraising events and also donates iPads to a variety of local schools. 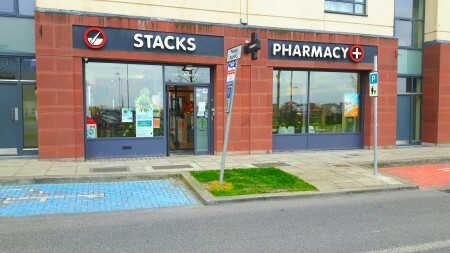 Our Stacks Pharmacy, beside the Windmill Medical Centre in Skerries, opened in 2009. In addition to providing the best products and informed advice, we are also involved in the local community and sponsor the local GAA team Skerries Harps' jerseys. Collectively, our staff at Windmill have over 40 years’ experience in retail pharmacy. 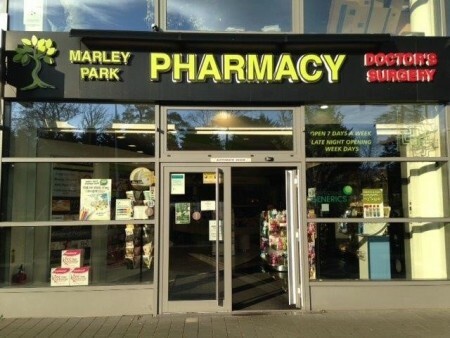 Our Stacks Pharmacy Marley, based between Ballinteer and Rathfarnham, opened in 2008. As well as providing a home delivery service which is a great support to elderly customers, our staff are all local and offer support and expert advice to customers. We also support local schools with sponsorship and spot prizes. 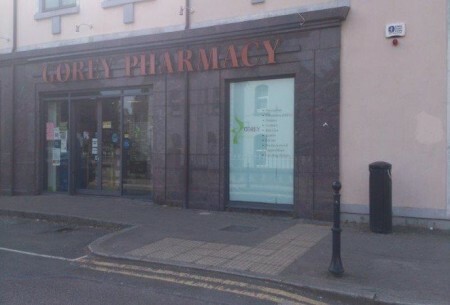 Our Gorey Pharmacy opened in 2007 in the centre of the County Wexford town, where our staff have over 60 years’ pharmacy experience between them. 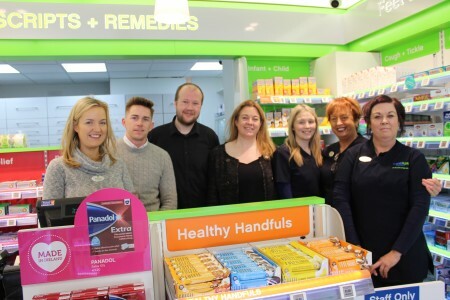 In addition to a wide range of products and a passport photo service, our Gorey Pharmacy supports local charities with spot prizes and holds an Easter colouring competition for children in the locality. We recenty completed a major refit of our Stacks Pharmacy in Lusk, which originally opened in 2006. Among the features of our re-styled outlet is a Tea & Coffee Dock where customers can enjoy free refrshments while waiting for prescriptions to be prepared. 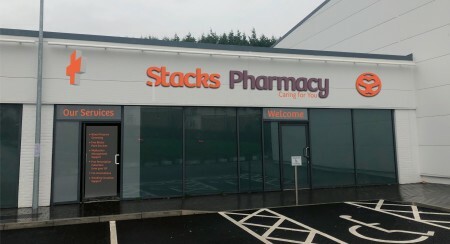 Our Stacks Pharmacy in Castledermot opened in 2005 with a vision that is strongly driven by customers’ needs and we are committed to fulfilling that objective and building long-term customer loyalty. By listening carefully to our customers, we have tailored our services to their specific requirements with friendly, helpful advice and a wide range of products and services. Our Pharmacy in the County Kilkenny market town of Callan, also opened in 2005. Since then, our staff have taken pride in offering the highest standards of personal care and attention to each and every customer. We are committed to providing a knowledgeable healthcare service, in a welcoming, personal and friendly environment, while also working with the community in raising funds for local charities. 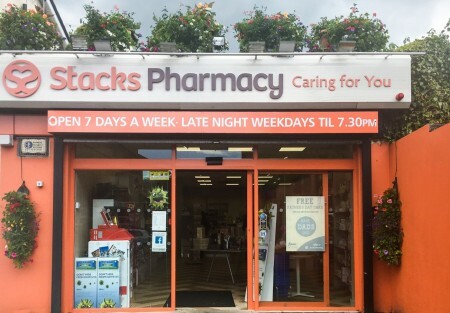 Since we opened our Stacks Pharmacy in Glasnevin in the heart of Dublin in 2004, our staff have always been eager to offer the best advice when it is needed. As part of our support for the local community we hold a Customer Appreciation Day each December, with numerous discounts and special offers available. 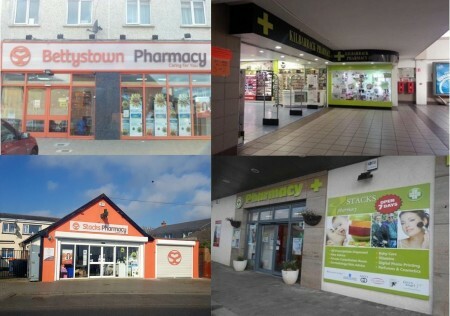 In 2003, we acquired three pharmacies in County Meath – at Bettystown, Ratoath and Laytown – and a fourth in Kilbarrack in Dublin. In Bettystown, our main focus is our customers and meeting their particular needs and we also contribute to our local charities, including fundraising events for the Jack & Jill Foundation and Temple Street Children’s Hospital. We also hold three Customer Appreciation Days a year, when 20% discounts are offered off all products. 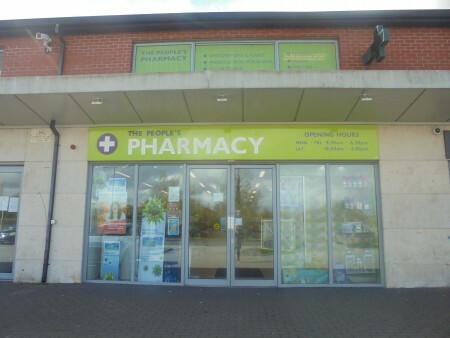 Our Ratoath Pharmacy is open 7 days a week and we offer a free delivery service and a spacious car parking facility for customers’ convenience. In Laytown, our Stacks Pharmacy is located by the seaside, where we enjoy working with the local community to offer any advice, support or fundraising. We also offer a weight management and blood pressure monitoring service to all our customers. 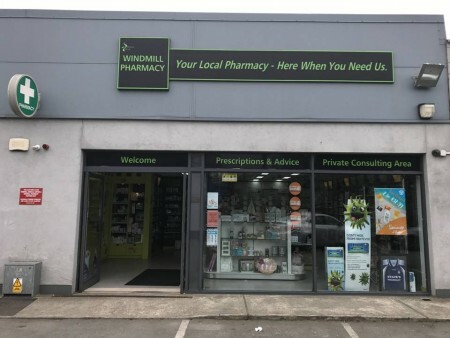 At our Kilbarrack Pharmacy, we offer friendly advice and a wide variety of services which include free customer delivery, prescription collection and blood pressure monitoring. We also offer make-up tutorials and ear-piercing services. 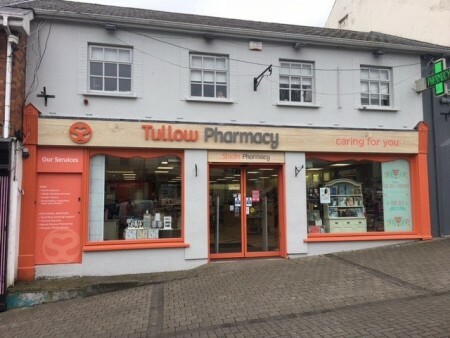 Our Tullow Pharmacy, in the heart of County Carlow, opened in 2002 and we recently added a customer car park at the rear of the premises. .
We play an active role in the community, such as being the main sponsor of the St. Patricks Day Parade in the town and donating spot prizes to local charities. Throughout the year, we host a number of information days on different topics, a feature that is widely welcomed by customers. At Stacks Pharmacy Darndale, which opened in 2001 in the Belcamp Village Centre, our dedicated team provides the best in professional healthcare and advice to the surrounding community. We always aim to exceed patients’ expectations and improve our support to our customers. A complimentary healthy snack or piece of fruit is available to customers as they wait on prescriptions and as a reward for their loyalty, every prescription is entered into a monthly raffle with the chance to win an amazing hamper. 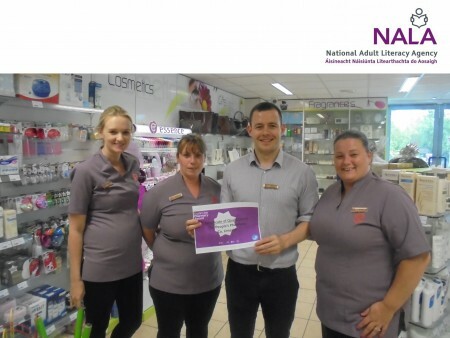 Skerries was the first pharmacy in the Stacks Pharmacy Group and since we opened in 2000, our values and ethos have remained the same, namely to keep the friendliness and sense of community that is central to Irish pharmacies and to combine it with the best of international standards. Our first ever employee, Bernie, is still with us to this day in Skerries where our staff work closely with local GPs to fully support all customers in best practice medication management.